The HippO is a universal, lightweight, low profile adult hip abduction orthosis. It is universal in both male/female and right/left, and features sliding and angular pelvic adjustment and a bivalve thigh cuff which adjusts to fit conical or cylindrical shaped thighs. 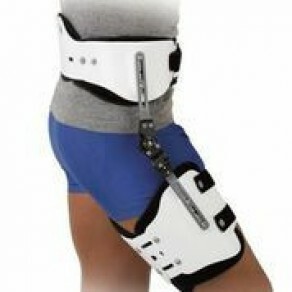 The HippO orthosis covers the smallest possible area of the body with plastic, yet retains superior rotational control.